Founded in 2003, Michigan-based ITC Holding Corp. (ITC) is the largest independent electricity transmission company in the United States. The firm is renowned for its commitment to diversity, operational excellence and environmental stewardship. Its mantra, “Doing the Right Thing,” is the center of all decisions and initiatives. At ITC, diversity means to respect the uniqueness of ideas, talents, backgrounds and experiences of others, thereby creating an ethos of inclusion. ITC believes these differences drive business success and underpin customer service. This value for diversity also entails advancing the personal and professional growth of ITC employees. Green Infrastructure Project Award” for its rain garden project at the company’s Iowa City warehouse, and the “2018 WHC Training Project Award” for its transmission line right-of-way at Tomlinson Arboretum in Clinton Township, MI. Additional accolades have been bestowed upon ITC by the Arbor Day Foundation, the Environmental Protection Agency and the Iowa and Michigan Departments of Natural Resources. In addition, ITC received the “2018 Emergency Assistance Award for Puerto Rico Power Restoration” presented by the EEI. ITC is recognized among nearly 60 firms for its contributions to the unprecedented emergency power restoration mission in Puerto Rico following Hurricane Maria. The company invests in science and engineering programs at notable universities. In 2018 alone, ITC has donated $175,000 to two Michigan-based institutions. A $75,000 gift to Michigan Tech supports the renovation of the ECE Learning Center in the Department of Electrical and Computer Engineering. A $100,000 contribution to Michigan State University funds InnovateGov, an experiential learning program within the College of Social Science. Linda Apsey is President and CEO of ITC. Previously, Mrs. Apsey served as Executive Vice President and Chief Business Unit Officer, leading all aspects of the financial and operational performance of the company. ITC owns and operates electricity transmission systems in seven states. Its geographical reach includes Illinois, Iowa, Kansas, Michigan, Minnesota, Missouri and Oklahoma. The company also focuses on areas requiring significant transmission system improvements through ITC Grid Development and its subsidiaries. ITC is supported by approximately 700 employees and 1,000 contractors. 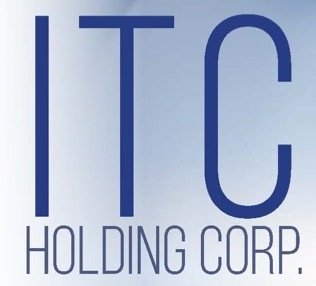 For additional information, visit www.itc-holdings.com. As a Director of Marketing Research and Analysis for a Fortune 500 firm for several years, Evelyn Summerville has made a ton of mistakes in her corporate career. But she also got many more things right. Now she harnesses those experiences and lessons to support leaders in fast-tracking their way to success. In doing so, she empowers people to live and lead with purpose, passion and excellence.